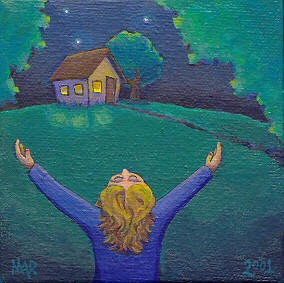 The Hugging Home: One More Year of Believing...Please! 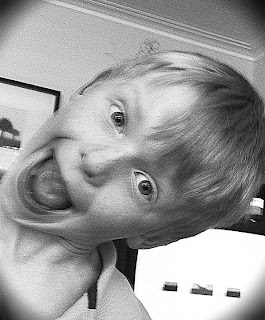 My 7 year old Noah has lost a lot of teeth of late. About a month ago, when he got the most recent hole in his mouth he boldly came out and told us he did not believe in the tooth fairy anymore. OK, I thought. Not a big deal. 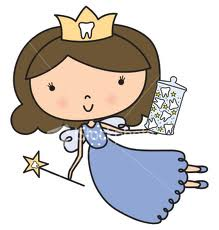 It's just the tooth fairy. "Who do you think leaves the money under your pillow then?" I asked as the family all sat around the dinner table. "You do." he said without a flinch. My husband looked over at me for my reply, as he knows the key to the truth is mine. He does not dare open his mouth for fear I may have a nervous breakdown if he says something to much...too soon. "Yes" I told him. "You're right." Then, it being November and all, we - my husband, my 10 year old Julian and I - waited for the next dreaded statement and/or question. 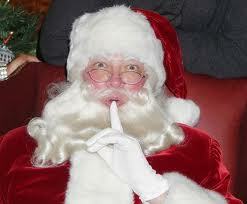 We all kind of looked at each other and then Julian mouthed to me silently "No...not SANTA!!!" "Hmmm" Noah said. "Will I still get money even though I know?" "Can I have some more strawberries Mama?" Today Noah said to me "Mama, I don't think Santa is real." "Well", I said..."who do you think he is then?" "Ummm...maybe you or maybe Daddy or somethin'?" That was a question! It was a question, right!?!? I still had hope. 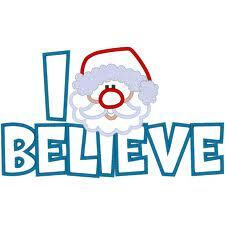 "Do you believe in Santa Mommy?" he asked. "Yup...I sure do!" I said...not willing to let go of the magic quite yet. He stopped there. He went on to start talking about how we had better start doing research for his project about Denmark. Isn't that the REAL Santa on the cover!?!? "Yes! Denmark! 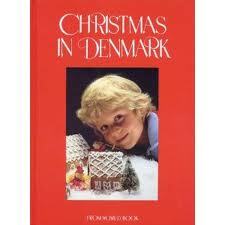 I am soooooooo interested in all things Denmark! Let's talk about Denmark non-stop until December 26th! Please!!!" 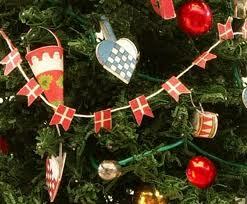 Look at all the fun Danish Christmas crafts we can make!!! Now let me interject here and say that I have always said that a child is ready to know about the tooth fairy, Easter bunny, Santa, etc. when they ask. 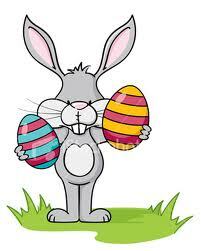 When Julian asked last year...the day before Easter...my husband obediently (and because he did not want to be the bearer of the news) sent him over to me to discuss. And Julian - bright, pensive Julian - I knew he was ready. And so I told him. I gave him all the goods. I knew he knew. And while I was sad, I also knew I still had Noah and then...well...baby Drew. But Noah! Also bright, but so full of life and wonder and excitement and...well...he is just my little Noah! Give me one more year of believing! Just one more year! I know little Drew will understand more next year and I will have several more years of magic in the house...but I just am not ready to totally give up on Noah's magic. Not yet! He is only 7!!! And I am not convinced he in a non-believer. I think he is hearing rumblings at school, in the hockey change room, wherever. Certainly not from Julian, who is more stressed about losing the magic than perhaps even I am - if that is possible. And my husband - he is not ready for his little Noah to be his "a little bit bigger Noah" when it comes to Christmas this year either. 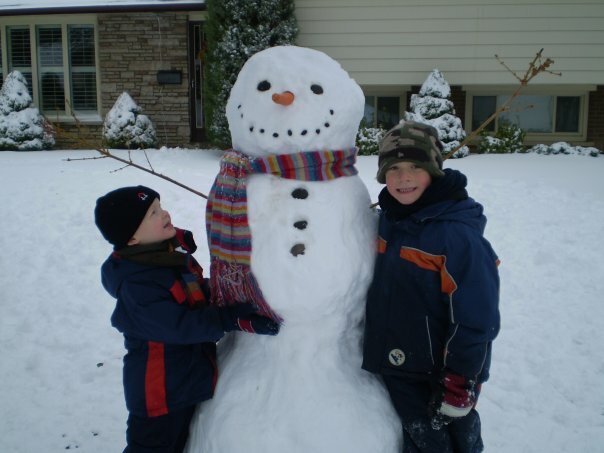 My guys Noah and Julian with Frosty a few years ago. When Julian believed in Santa. And when Noah believed in Frosty apparently. Oh the magic of it all!!! And so, we are fighting it. I am going against what I have always believed and I am pushing for one more year of magic. 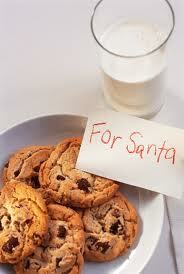 One more year of cookies and milk. 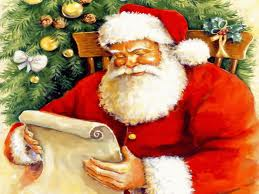 One more year of "I think I heard Santa's sleigh!" One more year of believing. Because when the magic is in the house...I believe too.